Reflexology is a natural therapy that induces deep relaxation and reduces bodily tension, which in turn improves health and vitality. Reflexology techniques are applied to the hands, feet and ears where reflexes that correlate with the entire body are found. Reflexology is believed to work through the nervous, electrical, magnetic and chemical systems of the body. Reflexology promotes balance in body, mind, and spirit. 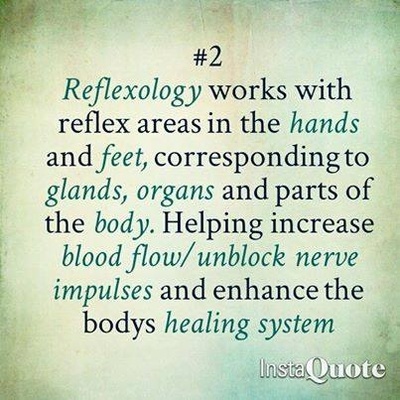 Discover deep relaxation, improved energy and better health with Reflexology! Cheryl is a Certified Ingham Method® reflexologist since 2014 having received her training at the International Institute of Reflexology. She is a member of The Reflexology Association of California and The Reflexology Association of America.